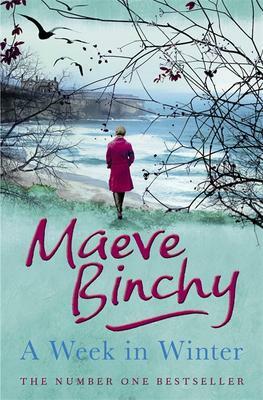 This is Maeve Binchy’s last book (she died in 2012), and it is surely one of her best. What that means in “A Week in Winter” is that we get the stories of ten visitors to a picturesque building called The Stone House, high on the cliffs of Ireland’s west coast, as well as the story of the building itself. It belonged to three sisters who loved it but could not keep it up. Another woman of the village, Geraldine (Chicky) Starr had left Ireland for a long period in New York City, where she worked in a tough boarding house. After many trips back to Ireland, she decided to buy The Stone House, and turn it into a hotel. The run-down mansion got a big, warm kitchen and log fires, with a long table where guests could get together. These guests tell their own stories in Binchy’s skillful book and the reader is drawn in to their hopes and dreams. Chicky Starr’s kindness, combined with sharp business sense, pull the stories together. It makes for a fine read, and altogether excellent book for Christmas. Come down to Books on Beechwood on Monday, December 17 to meet local author Jennifer Cook. She will be here from 6:00pm to 8:00pm signing her new novel Daughters, Mothers and Grandmothers. 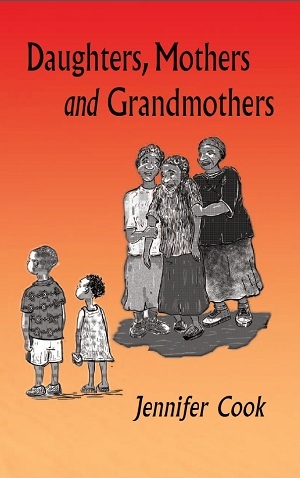 For more information about Daughters, Mother and Grandmothers, any of Jennifer’s other books, or Jennifer herself, visit her website at www.jennifercook.ca. Be sure to come down and check out this great event! Refreshments and snacks will be served. See you all then! 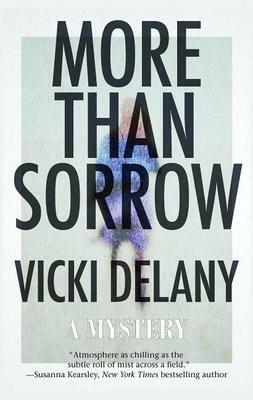 Come down to meet great mystery author Vicki Delany on Saturday, December 15 from 11:00am to 2:00pm. 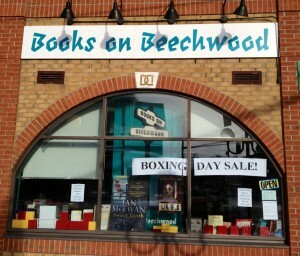 She will be here signing her new book More Than Sorrow. “Once, Hannah Manning was an internationally-renowned journalist and war correspondent. Today, she’s a woman suffering from a traumatic brain injury. Unable to concentrate, in pain, and haunted by her memories, Hannah goes to her sister’s small vegetable farm in Prince Edward County, Ontario, to recover. There she finds comfort in the soft rolling hills and neat fields as well as friendship in the company of Hila Popalzai, an Afghan woman also traumatized by war. We hope to see you all here at this great event!